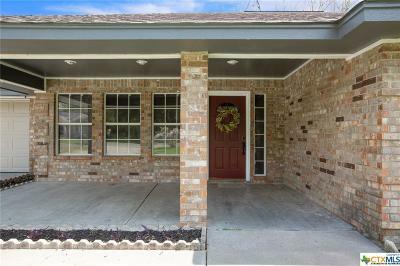 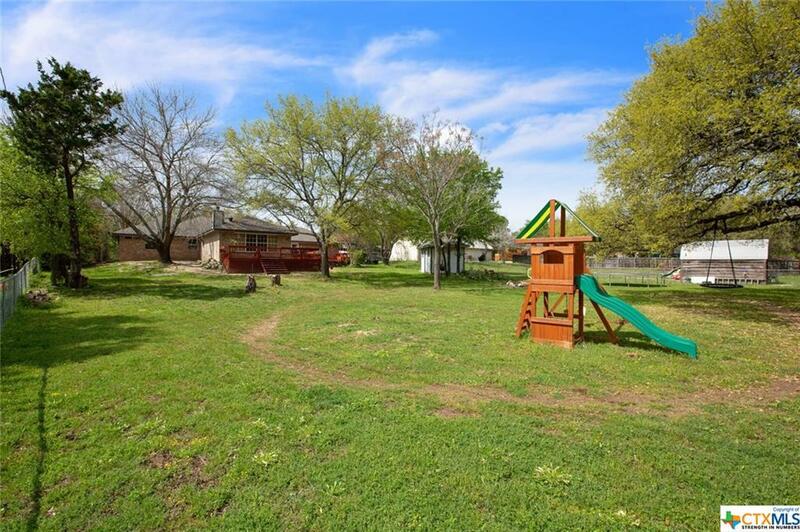 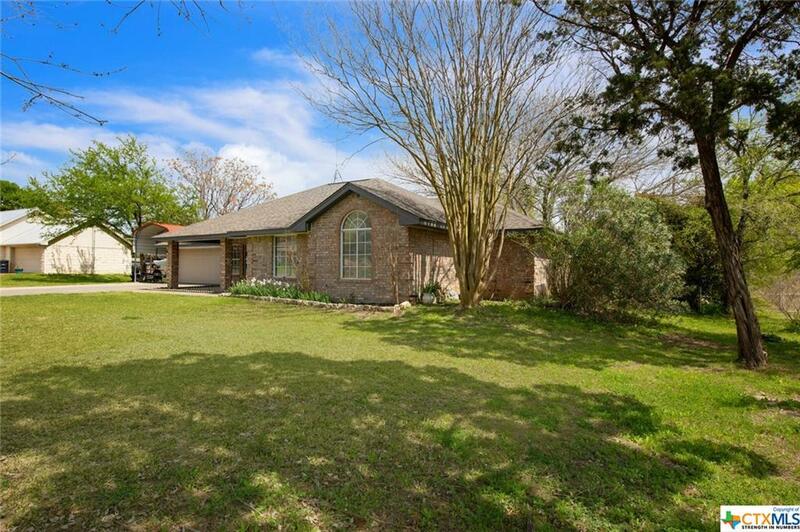 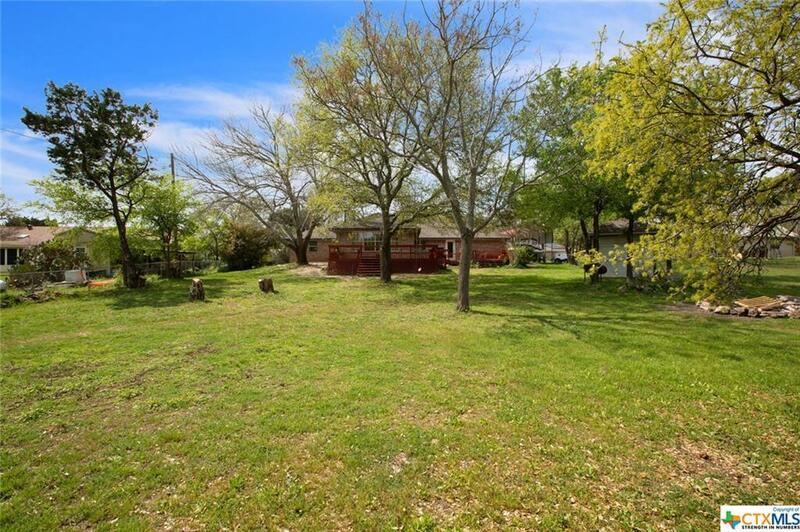 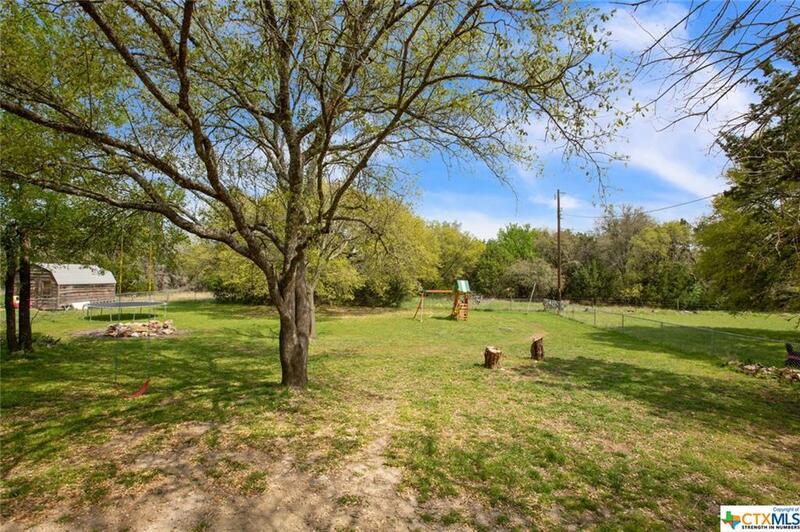 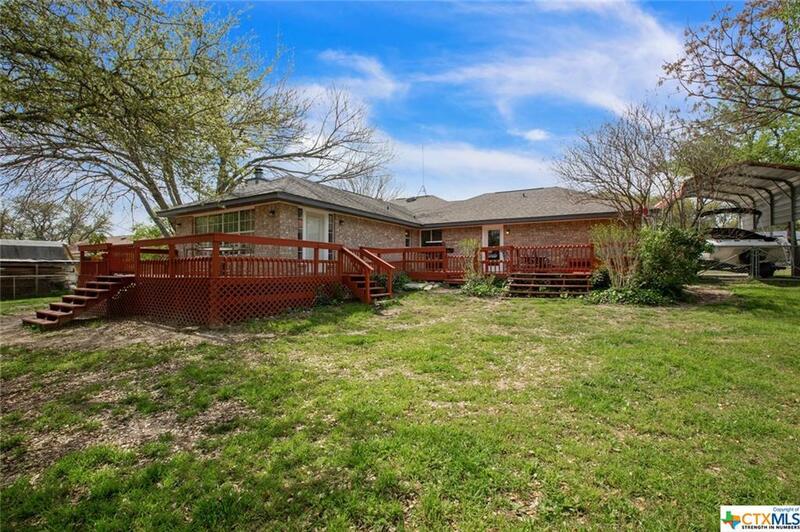 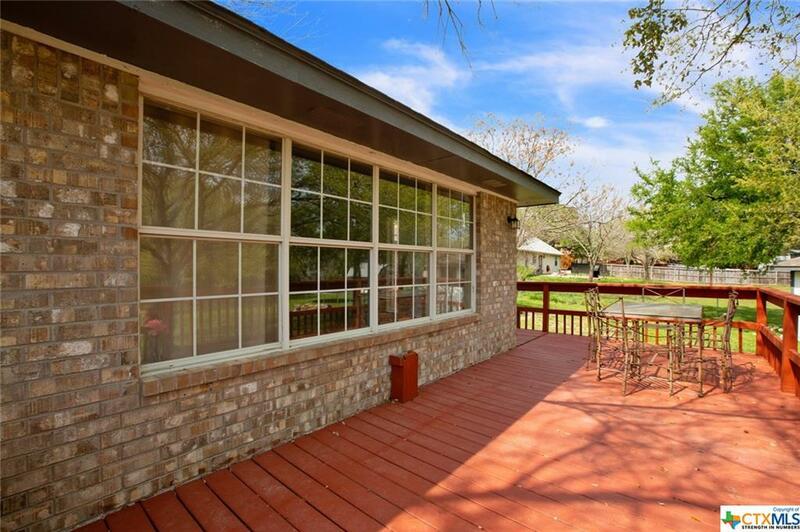 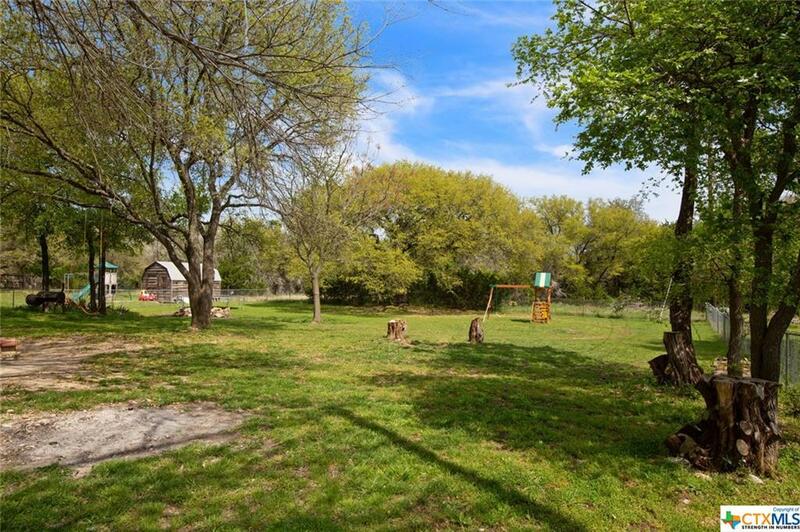 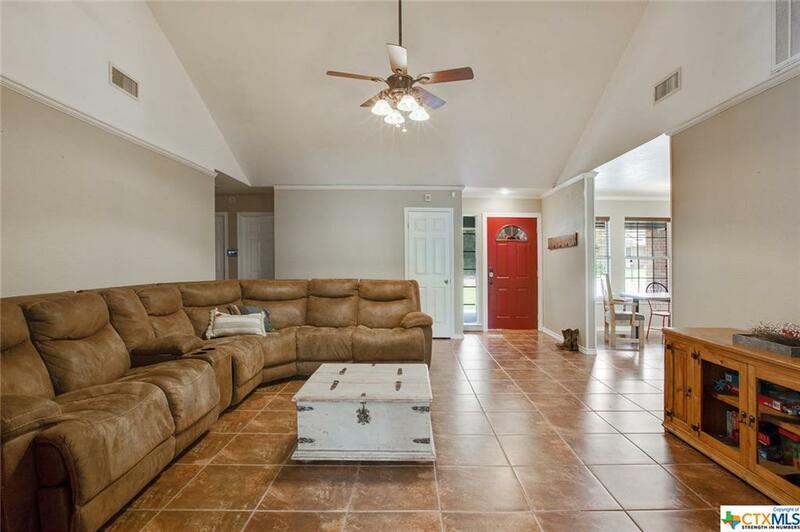 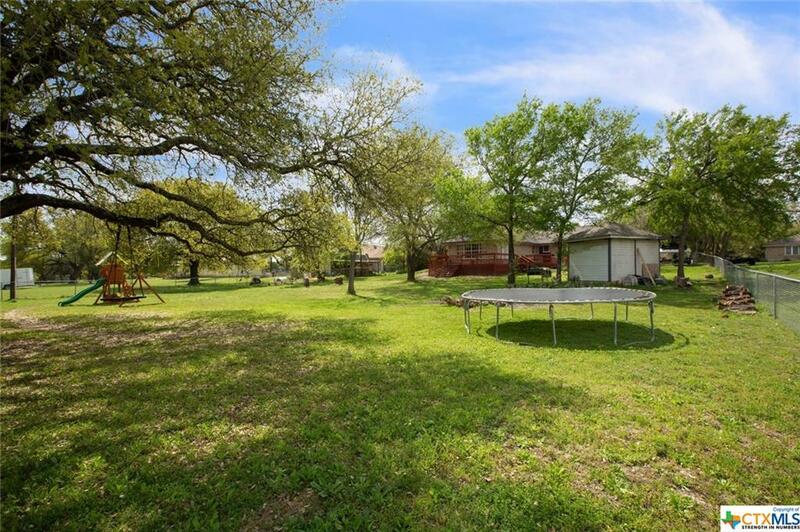 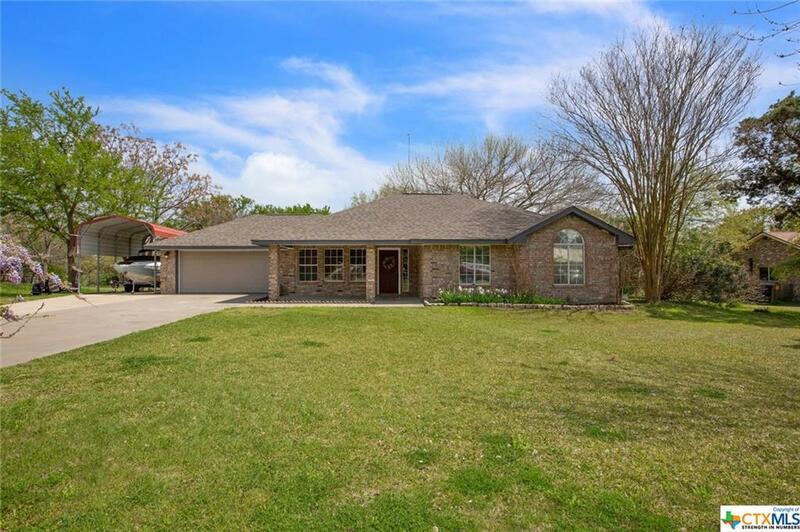 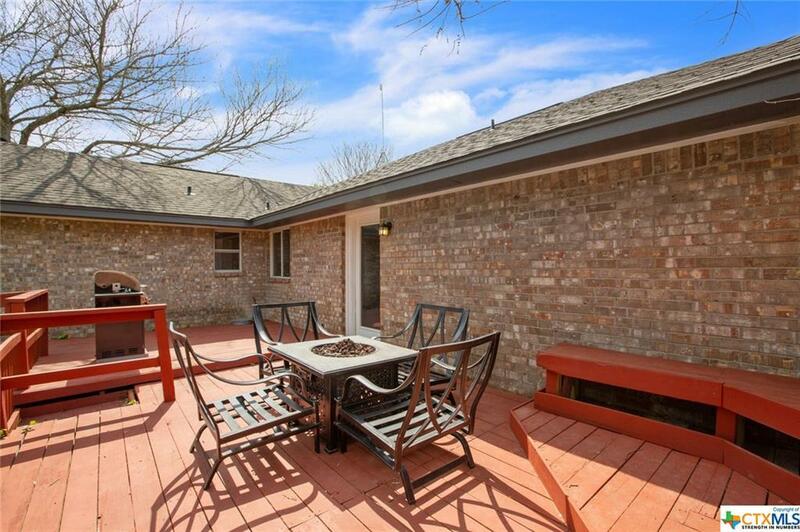 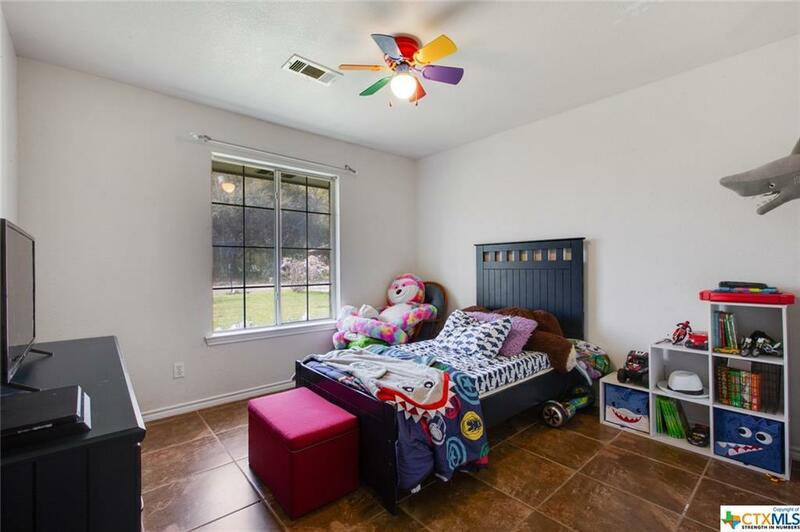 SPECTACULAR 3 BR/2.5 BA BRICK HOME LOCATED IN PRIME AREA IN SALADO; PERFECT FOR FAMILIES! 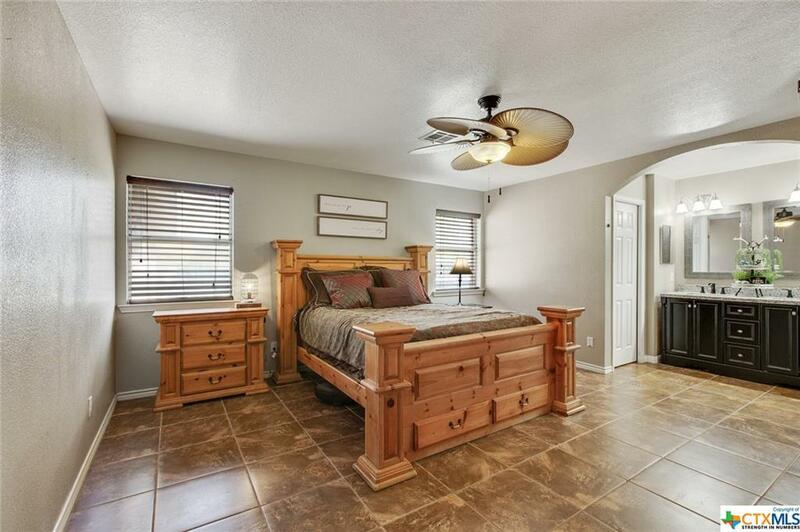 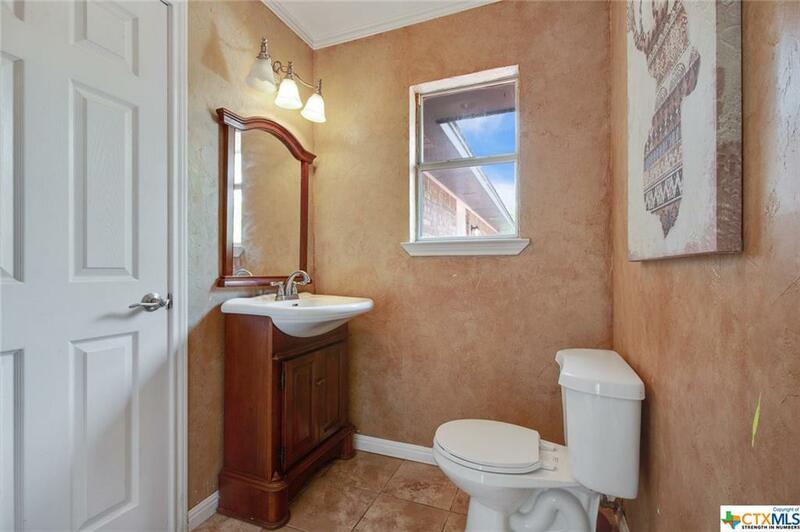 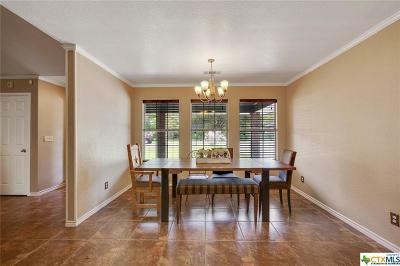 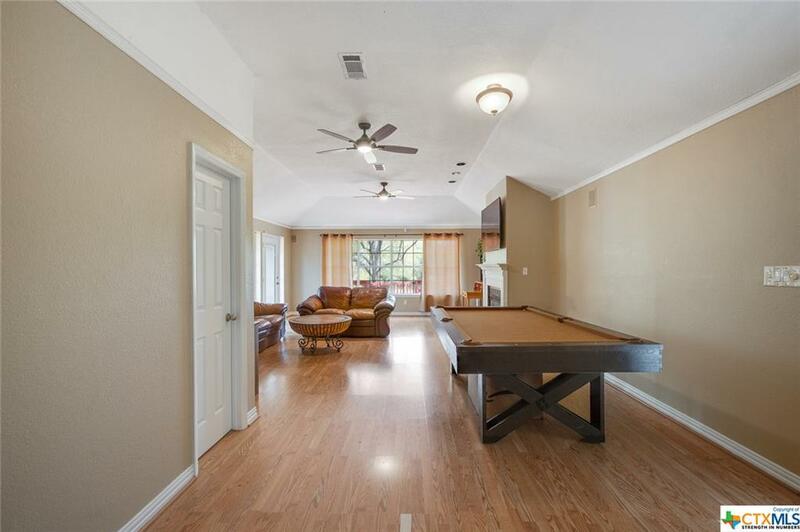 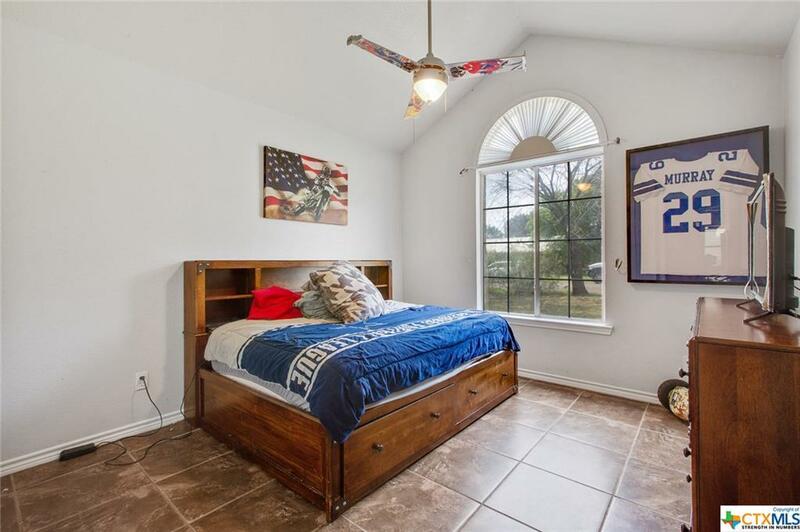 THIS HOME FEATURES BEAUTIFUL TILE THROUGHOUT. 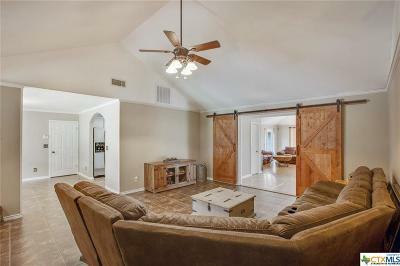 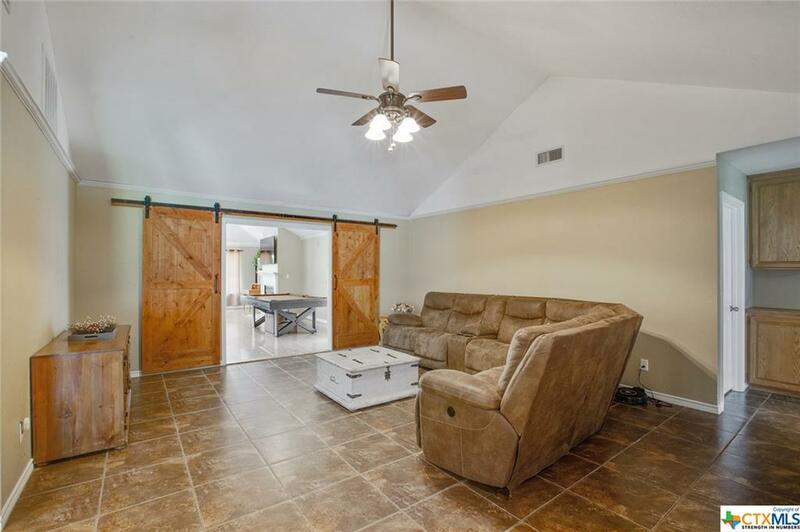 THE DUO-TONED LIVING ROOM HAS A VAULTED CEILING AND CROWN MOLDING, AND IS COMPLETE W/ STYLISH HALF-BATH, AND FARMHOUSE SLIDING BARN DOOR PARTITION. 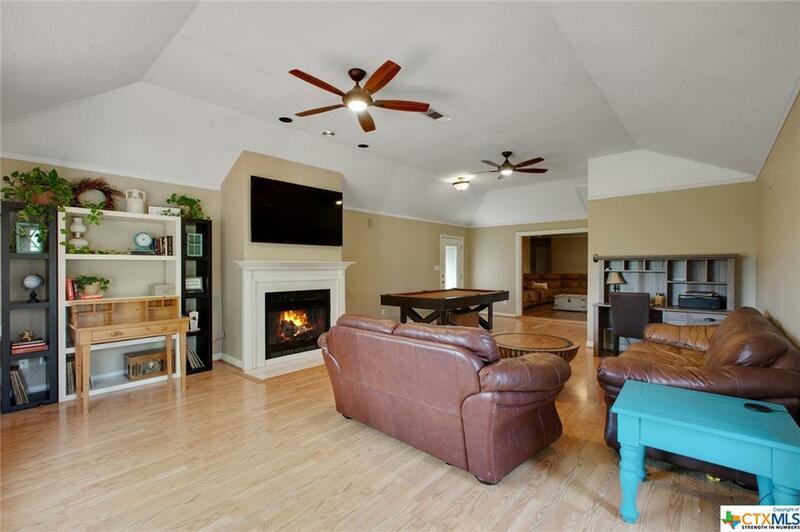 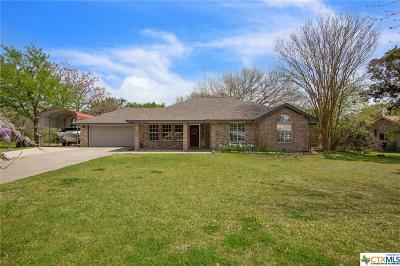 A LARGE FAMILY ROOM HAS A FIREPLACE, RECESSED CEILING, CROWN MOLDING AND MULTIPLE WINDOWS OVERLOOKING A WRAP AROUND DECK WITH BUILT-IN SEATING AND A HUGE FENCED-IN BACKYARD WITH SHED. 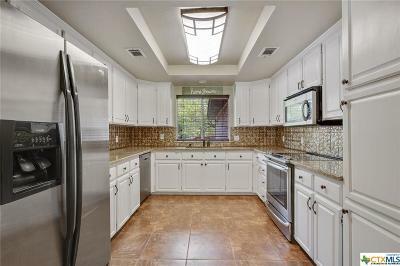 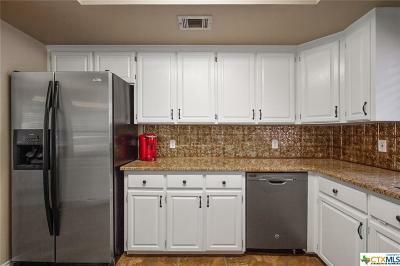 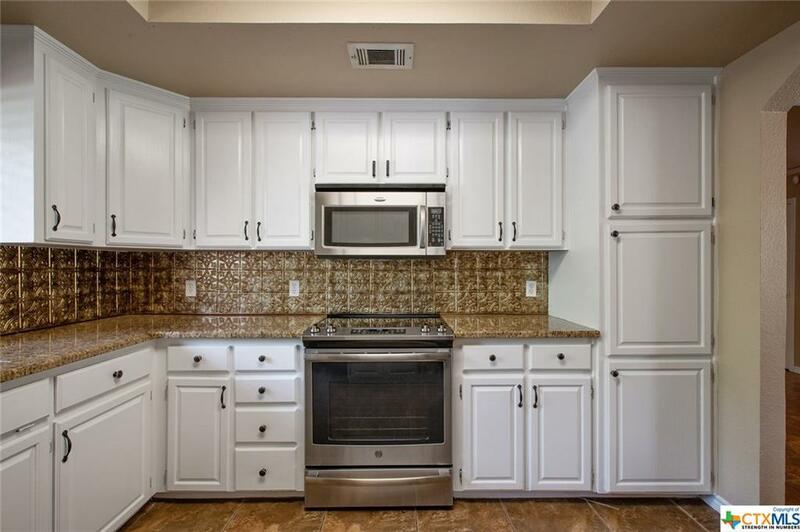 THE RECENTLY UPDATED KITCHEN HAS GRANITE COUNTERTOPS, FRESHLY PAINTED CABINETS AND NEW FIXTURES. 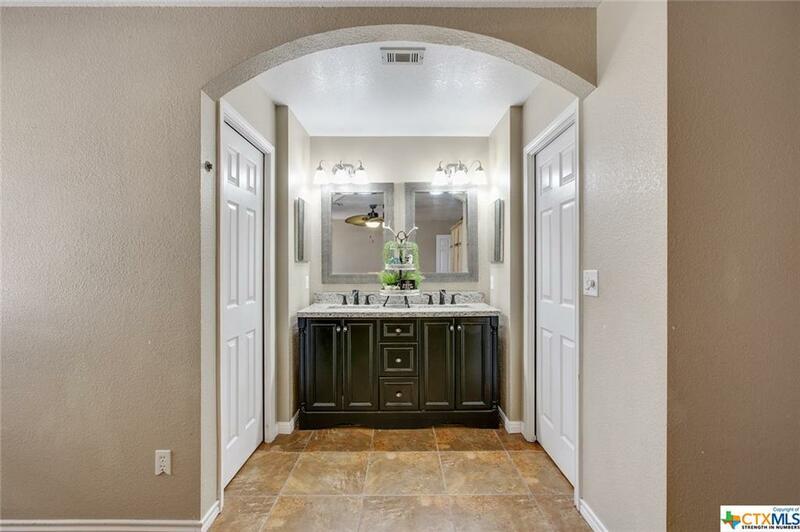 THE SPACIOUS MASTER HAS LOTS OF NATURAL LIGHTING AND DRESSING AREA WITH MARBLE DOUBLE SINK VANITY. 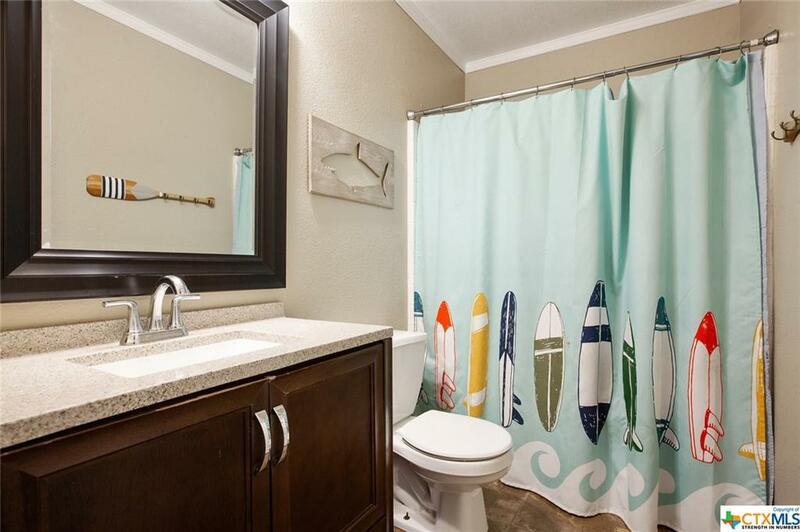 BATHROOMS OFFER SHOWER/TUB COMBINATION, MARBLE SINKS AND TILED FLOORS. 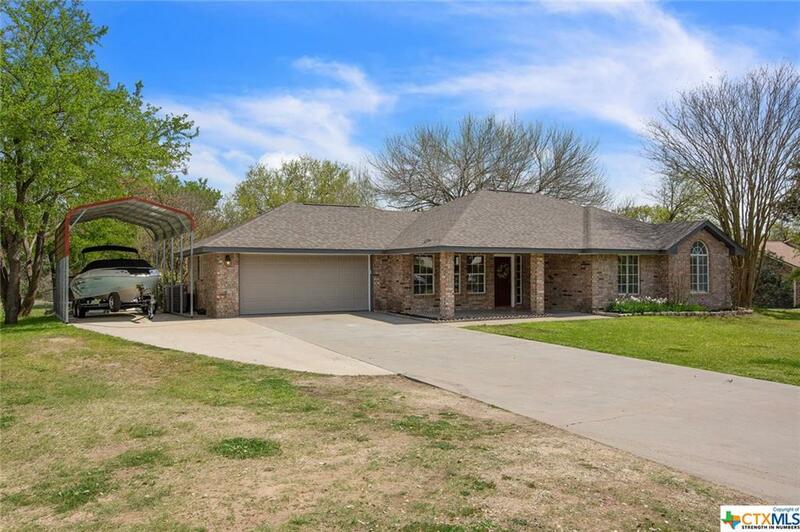 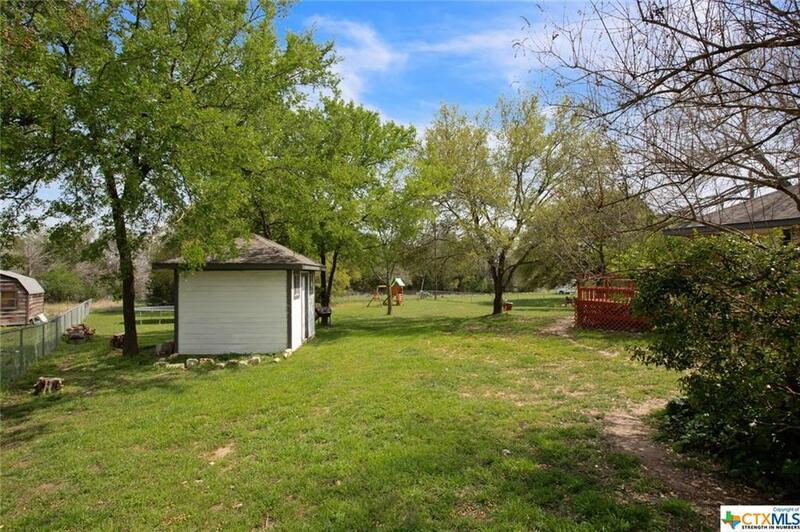 THE HOME HAS A TWO-CAR ATTACHED GARAGE AND AN ADDITIONAL PAD WITH CARPORT LARGE ENOUGH FOR ADDITIONAL AUTOMOBILES OR A BOAT! THIS HOME IS MOVE-IN READY AND WILL SHOW WELL! 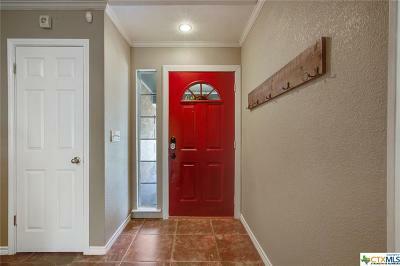 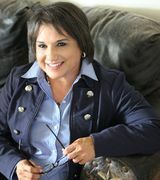 Directions: Ih-35 South, Turn Right (West) On Fm 2484, Left On Salado Springs Cir.